On October 22nd the Oregon Marine Board voted 4 to 1 to denied a petition to prohibit personal watercraft (PWC) operation on the Salmon River in Lincoln County. The Marine Board cited the overwhelming public support for the current rules coupled with the results of their investigation in to the petitions complaints as the reason for the decision to take no future action. The Oregon State Marine Board received a petition in August to amend the personal watercraft rules, and adopt a local restriction in the Salmon River Estuary to prohibit personal watercraft use. The Marine Board defines personal watercraft as a motorboat less than 16 feet, powered by a water jet pump, generally operated by a person sitting, standing, or kneeling on, rather than in sitting inside. The comments in support of the petition cited safety concerns because of the small size of the waterway, claims that PWCs violate the existing operating rules (proximity to swimmers and non-motorized), complaints about the loud noise that PWC engines make, and general comments that the noise and speed of PWCs conflict with the purpose of the Cascade Head Scenic Research Area. The comments in opposition to the petition generally citied the lack of a conflict between PWCs and other boats, a desire to keep the waterway open to all boats/users and the contention that PWCs have no more impact on the environment than any other boat. Additionally, opponents to the petition raised concerns that the reasoning behind the petition could lead to a prohibition on all motorboats. Several PWC operators submitted comments in which they said they used the Knight Park boat ramp and Salmon River only for the purpose of accessing the ocean (less than 1 mile from boat ramp to mouth). The American Watercraft Association commented that the petition unfairly targeted PWCs when some of the arguments of the petition could apply to all motorized watercraft, and that non-motorized watercraft are not required to take safety education courses, whereas PWC operators are required to have a boater education card. Many of the petitioners’ written complaints describe alleged violations of proximity and speed by PWC boaters. According to the Marine Board incidences of this nature may occur, however law enforcement patrols on the Salmon River have significantly increased in the past two years and this type of activity is not documented by cited violations. You can read the petition here and review the staff report here. WASHINGTON, D.C. – Following their repeated calls to ensure the safety of residents in coastal areas, Oregon’s Senators Jeff Merkley and Ron Wyden and Representatives Peter DeFazio, Kurt Schrader, Earl Blumenauer and Suzanne Bonamici announced December 10th that the Congress has passed legislation that will keep the U.S. Coast Guard’s air facility at Newport open through the coming year. The Oregon lawmakers worked to include language in the Coast Guard reauthorization bill that would keep the Coast Guard’s air stations open through January 1, 2016—including the Newport facility. In a letter last month, the Oregon lawmakers, along with South Carolina Senators Tim Scott, R-S.C. and Lindsey Graham, R-S.C., and Representatives Mark Sanford, R-S.C., and Tom Rice, R-S.C., and Duncan Hunter, R-Calif., urged the Department of Homeland Security to reverse the Coast Guard’s decision. This letter came on the heels of a letter that Oregon lawmakers sent to the Commandant of the Coast Guard urging him to keep the helicopter in Newport. 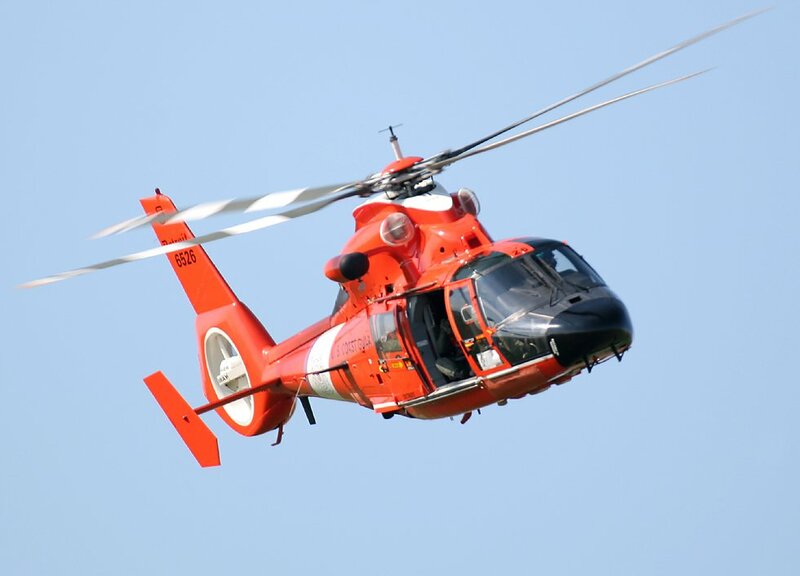 While the Coast Guard claims that it would still be able to meet the national standard of a two-hour search-and-rescue response time, local fishermen and Central Coast residents who depend on the rescue helicopters say first-hand experience shows that closure of the base will lengthen response times and threaten the safety of local mariners. The Oregon Water Resources Department released its Final Determination for Transfer Application T-11116 for Lincoln City’s change in the Point of Diversion (P.O.D.) of their existing Rock Creek water right on March 16, 2011. This Final Determination provided the Department’s conclusion that the proposed change in place of use, and point of diversion, should be approved. You may review the Final Order in Application T-11116 as it contains certain conditions that have been identified as a condition of the permit. The City and Siletz tribe have until October 1, 2026 to complete the work described in the application and until October 1, 2027 to claim beneficial use. With this order the City’s application process comes to a close. The Oregon Water Resources Department released its Preliminary Determination for Transfer Application T-11116 for Lincoln City’s change in the Point of Diversion (P.O.D.) of their existing Rock Creek water right today. A Preliminary Determination provides the Department’s conclusion as to whether a proposed change in place of use, point of diversion or appropriation, or character of use of an existing water right should be approved. This week’s OWRD Public Notice contained the following statement. T-11116 filed by THE CITY OF LINCOLN CITY, 801 SW HWY 101, LINCOLN CITY, OR 97367, proposes an additional point of diversion and a change in place of use under Certificate 21779. The right allows the use of 1.5 CUBIC FEET PER SECOND (priority date APRIL 22, 1947 for 0.75 cfs and JULY 18, 1949 for 0.75 cfs) from ROCK CREEK, tributary to DEVILS LAKE in Sec. 7, T 7 S, R 10 W and Sec. 12, T 7 S, R 11 W, W.M. for MUNICIPAL USE in Sec. 34, 35, and 36, T 6 S, R 11 W, and Sec. 1, 2, 3, 10, and 11, T 7S, R 11W. The applicant proposes an additional point of diversion approximately 2.9 miles downstream (Sec. 2, T 7 S, R 11 W, W.M.) and to change the place of use to Sec. 34, 35, and 36, T 6 S, R 11 W, and Sec. 1, 2, 3, 10, and 11, T 7S, R 11W, W.M. The Water Resources Department has concluded that the proposed transfer appears to be consistent with the requirements of ORS Chapter 540 and OAR 690-380-5000. According to the Oregon Water Resources Department database the Preliminary Determination for Transfer Application T-11116 for Lincoln City’s change in the Point of Diversion (P.O.D.) of their existing Rock Creek water right was drafted today. From reviewing other applications it appears that it can generally take 3-4 weeks from the time the draft is written to the time it is issued in the OWRD Weekly Notice. Interested parties can easily follow the process; you should download the Weekly Notice and scroll down to the section titled “Transfer Preliminary Determinations” to view the information related to Application T-11116. A Preliminary Determination provides the Department’s conclusion as to whether a proposed change in place of use, point of diversion or appropriation, or character of use of an existing water right should be approved. Please see “How to Participate in a Water Rights Proceeding” for a detailed description of the remaining steps in this process. Notice of Lincoln City’s application for a change in the Point of Diversion (P.O.D.) of their existing Rock Creek water right appeared today in the Oregon Water Resources Department Weekly Notice. The thirty-day clock has begun for public comment on the City’s transfer application. Any person may comment on a transfer application. Comments must be submitted by September 09, 2010. Any person who provides comments within the comment period will receive a copy of the formal Oregon Water Resources Department (OWRD) preliminary determination of whether the application should be approved or rejected, and will be provided an opportunity to protest the application and preliminary determination at that time. The proper place to express your opinion on this proposal is during the OWRD application process. Please see “How to Participate in a Water Rights Proceeding” for a detailed description of the process including how and where to file comments. Links to related ORWD Documents are below as well as a summary of the application. The City of Lincoln City and the Confederated Tribes of the Siletz Indians of Oregon made a presentation and answered questions related to the use of water from Devils Lake to irrigate the golf course at the June Devils Lake Water Improvement District board meeting. The Board of Directors of DLWID passed a resolution by a vote of 4-1 indicating support for the proposal. Since that time, several residents have expressed their opinions on the matter; some support the proposal, some do not. For the record, the Navigator has not taken a position on the proposal. The proper place to express your opinion on this proposal is during the formal Oregon Water Resources Department (OWRD) application process. In order for the City to meet the terms of their agreement with the Siletz Tribe they will apply for a change in the Point of Diversion (P.O.D.) of their existing Rock Creek water right. This process is described in OAR 690 Division 380 Water Rights Transfers.